My schedule is always pretty full. Sometimes too full (I think it’s just my nature to try to pack in as much as possible) and then, yes, I take a step back to find more balance. But I’ve accepted that it’s just my personality to maintain a busy, demanding schedule. I’m often rushing from meetings and lunches to hopping onto conference calls and then over to events. 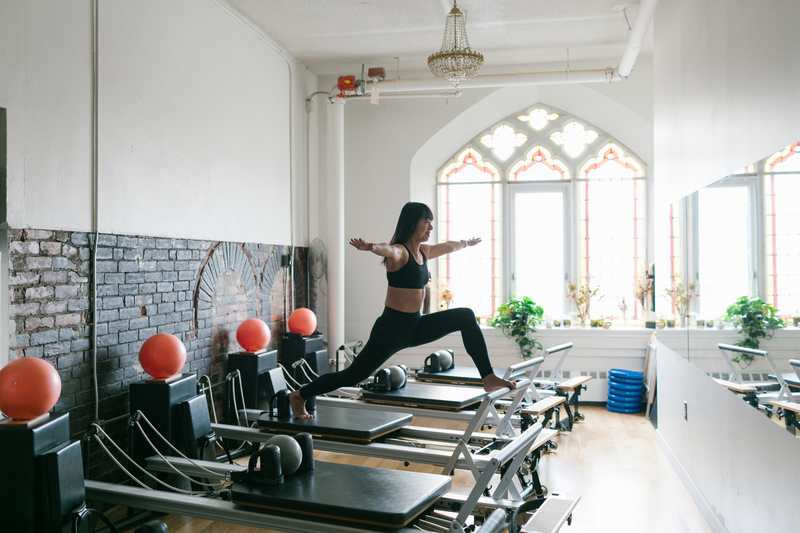 Besides work demands, I also am working out whenever I can—I’m trying to fit in more dance classes, more workouts like yoga and Pilates, and to learn how to play tennis during the warmer months. And you may also know that I’m a runner. The fitness in my life gets way more intense when I’m training for a marathon since this calls for running up to five times a week. (And we haven’t even touched on a social life yet. I also cram in movies and dinners with friends and hikes and play time with my dog, Billie Jean, too). This post isn’t a humble brag about how busy I am, I promise! It’s about how I power up to have the stamina for all of this. After all, to power through my workouts and life, I have to make sure I have the energy and feel strong enough and so what I eat is really important—and getting enough protein in my diet is a crucial part of that. Many of us know that protein is essential to our health (it helps boost the immune system and helps to build and repair muscle tissue). And while meat is often what comes to mind when you think protein, dairy is an excellent source of high-quality protein, too. How do I get my dairy, which contains two kinds of protein—whey and casein, to help power me through my day? On a regular weekday, I don’t have time to have a huge breakfast, but I do need something satisfying and filling. The solution? One of my favourite breakfasts is Greek yogurt topped with berries and something for a bit of crunch (that might be hemp hearts, nuts or granola). For an everyday snack, I need something I can prepare quickly, so I’ll often just grab some cheese (I always have cheese in my fridge!) and either an apple or some whole-grain crackers. And 50 grams of cheddar contains 12 grams of protein. When I am training for a marathon, the most satisfying post-workout replenishment, especially so in the summer, is a smoothie with yogurt in it or an ice-cold chocolate milk. I swear that during a long run, it’s probably around the 15k mark that I start craving and salivating about the smoothie or chocolate milk that I plan to have right after that run. Besides being thirst quenching, the protein in these drinks help your muscles to recover more quickly. Research has proven that. And besides protein, milk products also contain up to 16 essential nutrients. 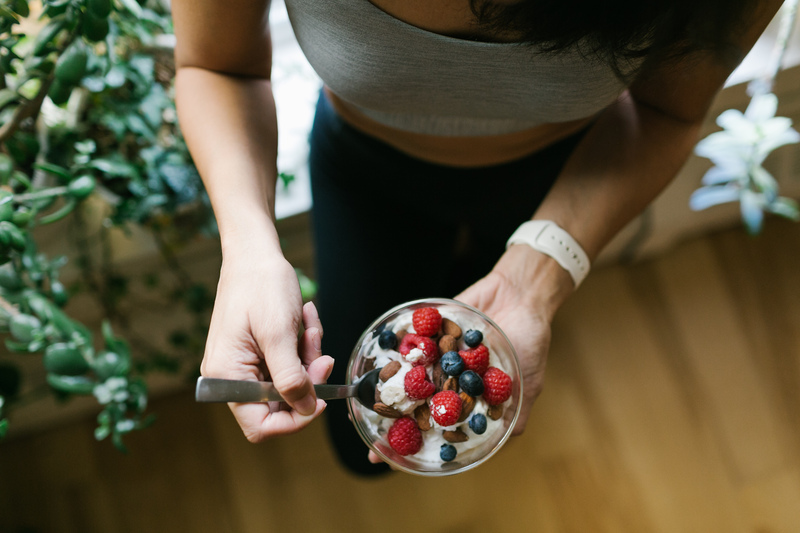 An interesting fact about protein: Did you know that your body benefits most from protein when you spread out your consumption over your meals throughout the day? It should break down roughly into 30 grams per meal. Which I think works well when it comes to getting your protein from dairy, since I find it easier to incorporate milk products into my meals than meat. The right cheese can top most any dish, for example; I can easily cube some cheese to throw into a salad at lunch or with my eggs in the morning compared to having to cook up some chicken or fish (which I wouldn’t have on hand at home anyways; that’s not how I personally stock my fridge). What’re some of your favourite ways to power up with protein through dairy sources? 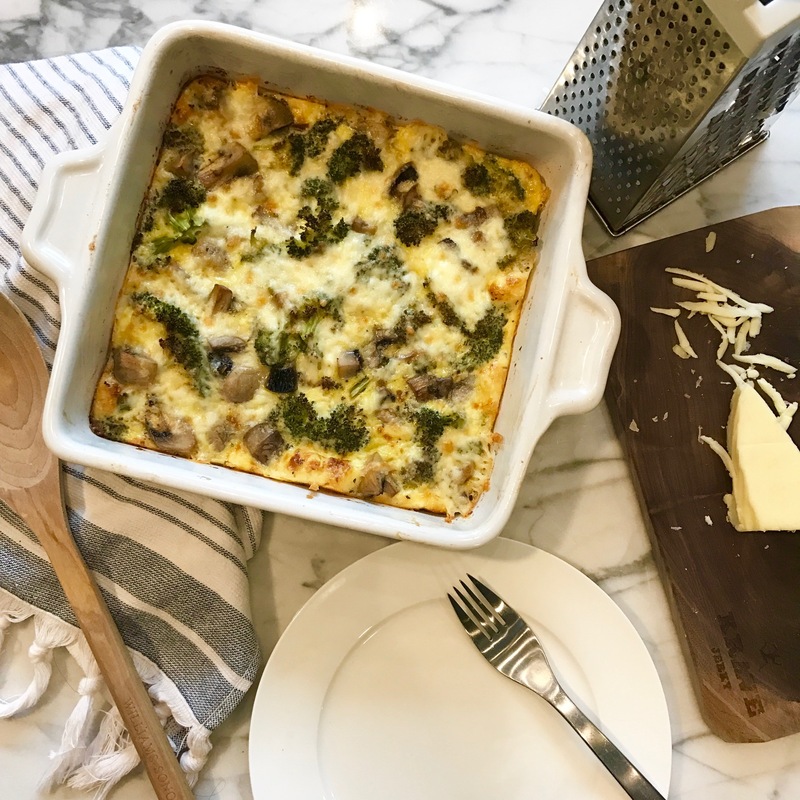 I know I mentioned chocolate milk after a run in the summer, and I’ve now found an option for lunch to warm me up after a run on a cold winter morning: roasted broccoli mushroom mozza frittata. You can find the recipe on dairygoodness.ca (but I’ve also included it here in this post). Round out your lunch with a leafy salad and you’re all set! I’d love to hear about your favourite recipes for fuelling up on protein, please share! Prep time: 20 minutes. Cooking time: 40 minutes. 4 servings. Preheat oven to 425 °F (220 °C). Line a rimmed baking sheet with parchment paper. Butter a 9-inch (23 cm) glass pie plate or 6-cup (1.5 L) shallow baking dish.In a medium bowl, combine broccoli, mushrooms, melted butter, and half each of the pepper and salt. Spread on prepared baking sheet. Roast for about 15 minutes or until tender and browned. Let cool slightly. Reduce oven temperature to 350 °F (180 °C).In the same bowl or large measuring cup, whisk together eggs, milk, basil and remaining salt and pepper until frothy. 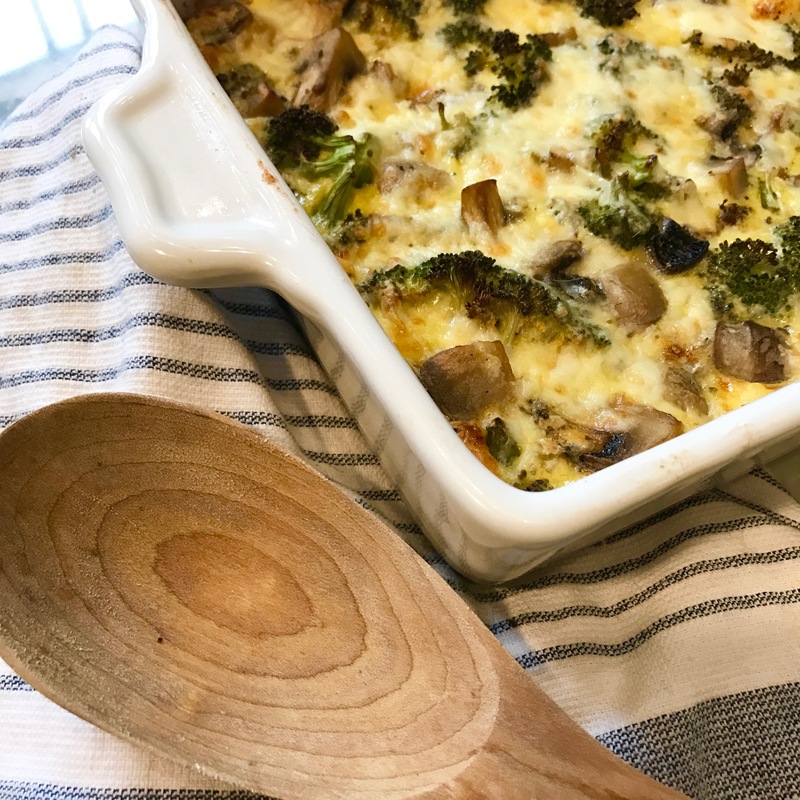 Stir in half of the Mozzarella.Pour egg mixture into prepared pie plate Sprinkle broccoli and mushrooms evenly into eggs, pressing to immerse slightly.Bake for about 25 minutes or until evenly puffed and almost set. Remove from oven and sprinkle remaining Mozzarella on top. Broil for about 3 minutes or until cheese is until melted. Pilates photos shot on location at Misfit Studios in Toronto. Photographer, Sean Pollock. When you work freelance like I do, and you make your own schedule, it can be both a blessing and a curse. Sure, if I want to take the afternoon off because it’s a gorgeous sunny day, I can…but it also means I’m always juggling my schedule and fitting in meeting, events, fitness and a social life however/whenever I can. As much as a 9-to-5 job can be a drag, sometimes I envy the structure it gives your life. Although that does mean you have to cram everything else outside of those hours, doesn’t it? So life can get chaotic for all of us–whether it’s kids, fitness, travel, friends, work–we all have times we feel like we’re just struggling to stay ahead of it all. How do I juggle my responsibilities and make it work? 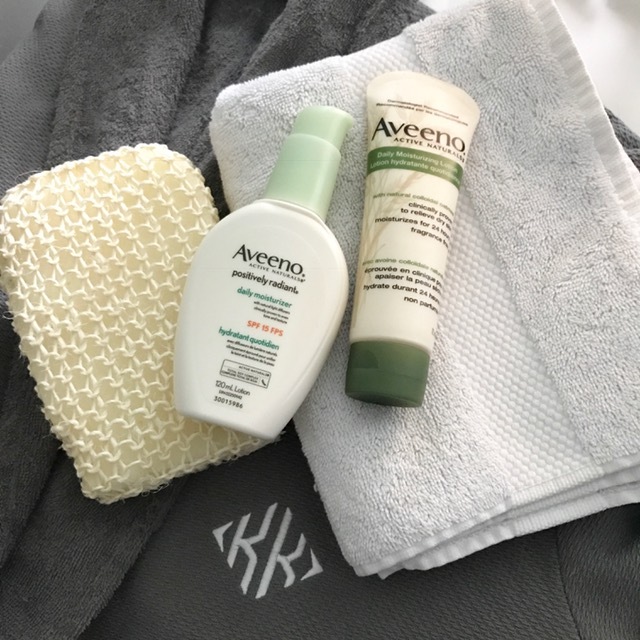 It’s not rocket science by any means but here are three ways I’ve found have helped make my busy schedule more manageable. Snack on the go. I try to eat three meals a day, and snack as needed depending on my workouts and how hungry I am. But sometimes i legitimately forget to include time to grab a meal because I’ve scheduled my day to run from one meeting to another. And often, since I’m not a morning person, I’m running out the door trying to get to an early workout or event, and I haven’t eaten a thing. 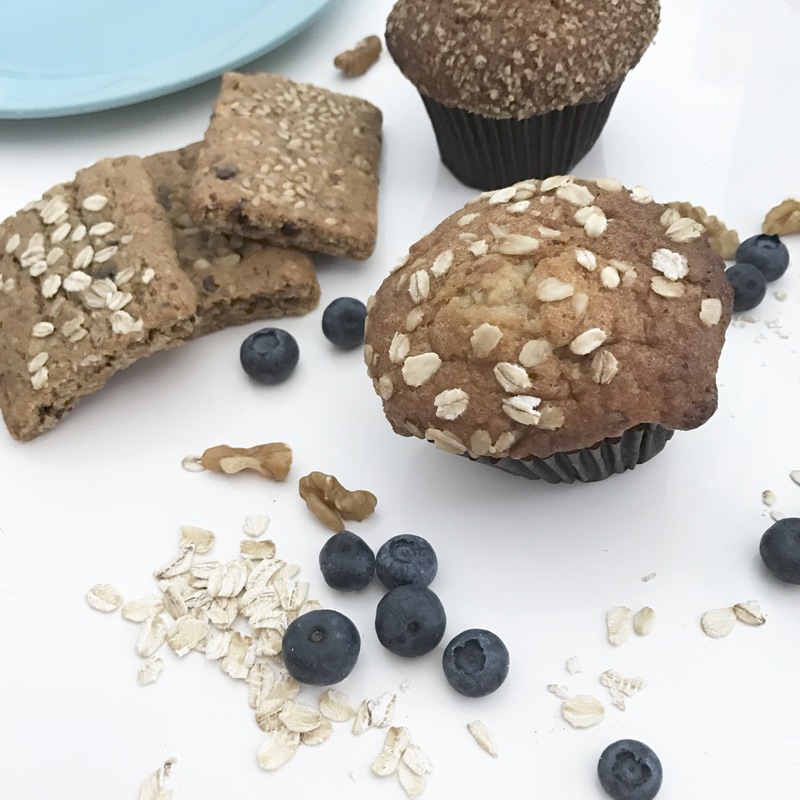 This is why ready-to-go snacks like Good & Simple Muffins and Bars are a staple in my house. 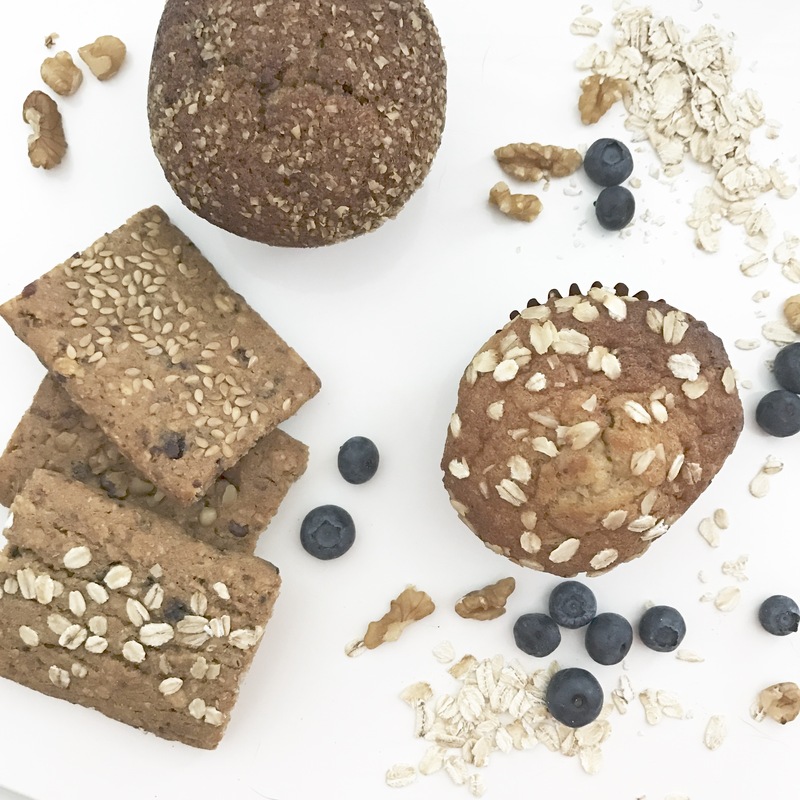 I’m partial to the Bars (they’re just easier to eat and I find they taste slightly less sweet than the muffins); Walnut and Grains is my fave but the Blueberry Oatmeal is a close second. Made with real ingredients such as whole grains (in the blueberry oatmeal bar, for example, there’s 13 grams of whole grains in each bar) and no artificial flavours or colours, Good & Simple offers a wholesome and tasty quick way to fuel up quickly and when you’re on the move. Create some routine to your day to day. While I love making my own schedule (although I do curse that very same thing when I’ve taken a few hours off in the day to go to a sample sale and I’m typing away on my computer at 2 a.m.!) , going through each day with zero structure can be taxing mentally. So I try to have some routine to my day: I try to do a quick journal entry morning and night (this is still a work in progress), and now walking my recently adopted dog, Billie Jean, a minimum of three times a day helps me break up my schedule into distinct chunks of time, which makes managing my time easier to do. Find a calendar that works for you. My smartphone calendar is my bible. I use the Informant app to keep track of my events, meetings, phone calls, deadlines, workouts, appointments and plans with friends. It’s all colour-coded, and I’m very, very lost without it and refer to it a few times a day. I didn’t find the iCal had all the functionality I wanted, which is why I purchased Informant. Before I bought it, I was forgetting about deadlines from time to time. It remains the most expensive app I’ve ever bought but it was worth it (and that’s even without using it to its full capabilities, I still need to learn how to make use of all of its features). I’d love to know if you have ways to streamline your busy life! And in the meanwhile, to learn more about Good & Simple, which are now available in Ontario, here.